Disclaimer: This is not a sponsored post. I was not paid by the company to write this review. Affiliate links are used in this post, but all thoughts and opinions are my own. Read full disclosure here. 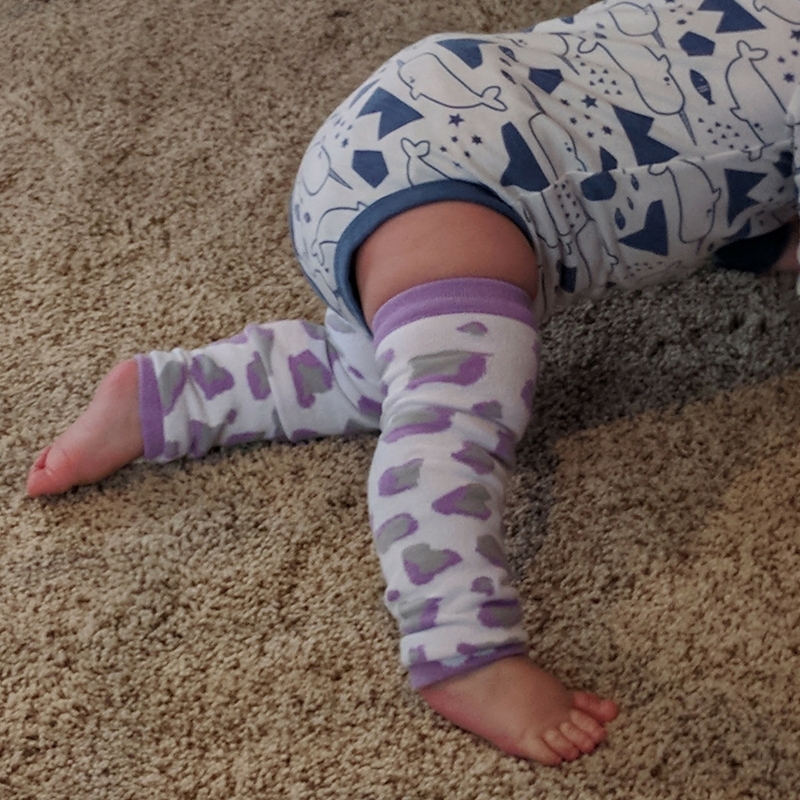 I ordered five pairs of baby leg warmers from Baby Leggings when they were doing a deal for Mother's Day, where I could get five free, but I still had to pay for shipping. It ended up being $5 per legging, so still a great deal! It took about three days for me to get my purchase in the mail, so pretty quick, and they looked like good quality. However, I had received a wrong pair. 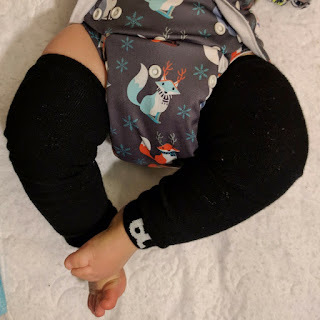 I contacted the company and they quickly shipped me the correct leggings, without asking for the wrong one back, so I ended up with a total of 6 free leg warmers! I was very impressed with how quickly they resolved the issue and that they let me keep the wrong pair they had sent. You do have to pay for shipping, but it still comes to only about $5 per pair depending on which shipping method you choose, which is a pretty good deal. Usually, they are $10 per pair and you have to pay shipping costs. The leggings are on the bigger side and I wasn't able to use them till my girl was around 7 months, even then I had to fold up the ends. She is currently 11 months now and I don't have to roll them up anymore, but you can tell that they are still a bit big so they have plenty of use left in them! I am hoping they will fit her up to age 2. I was worried about the quality due to the price, but they are surprisingly thick and have held up multiple washes, not to mention crawling! There are many cute prints to choose from, both for girls and boys! The great thing about the leg warmers is it makes diaper changes a breeze. You don't have to pull them off like you do with pants, so baby's legs stay warm and you can change a diaper with less hassle. I highly recommend these during the winter season! 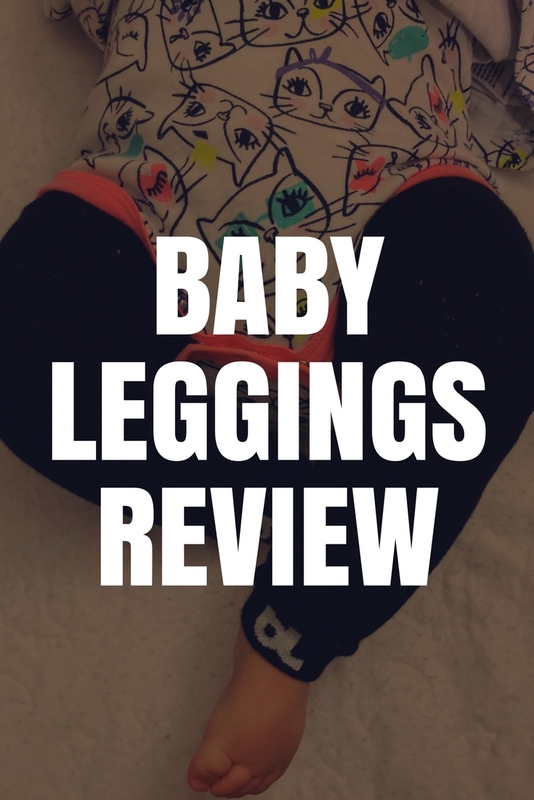 Have you tried Baby Leggings? Let me know what you thought of them in the comments! These are so cute! I need to get some for our next little one! That seems to be a great discovery for sure. We mama's need them so much when these babies wear diapers or even when they are on Cloth diapers or left open. Really a heads up to this. I really loved these half leggings to protect the legs from chilling winters.Will check out if I can find these in India. The company does ship internationally! How fun! I wish I knew about this last year! I'll definitely let some of my mom friends with little ones about this!